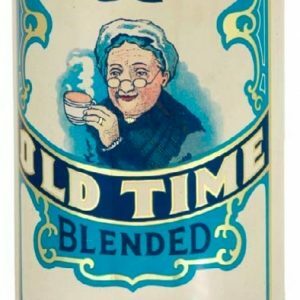 SKU: 73-53. 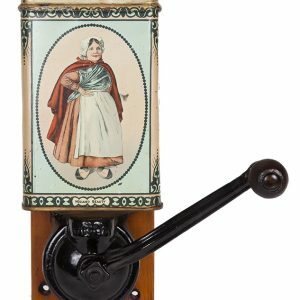 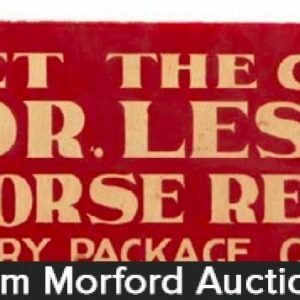 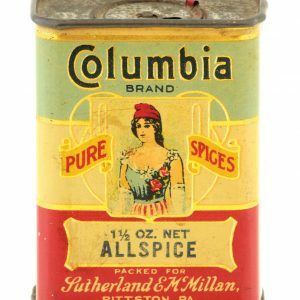 Categories: Antique Spice Tins, Antique Tins, Spices. 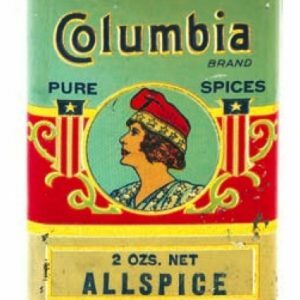 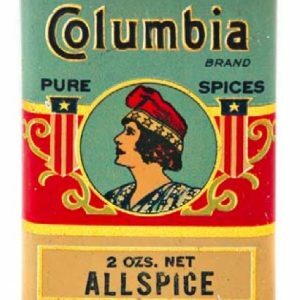 Company/Brand: Columbia Spice, Sutherland & McMillan Co..
Columbia Spice Tin: Scarce variation, early tin litho, 1 1/2 oz. 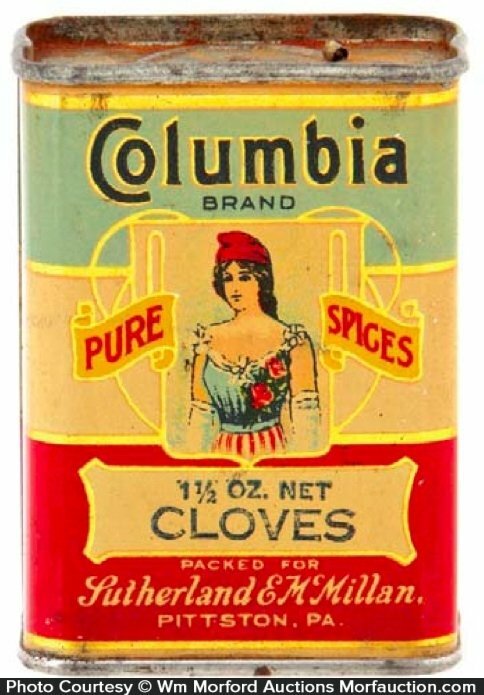 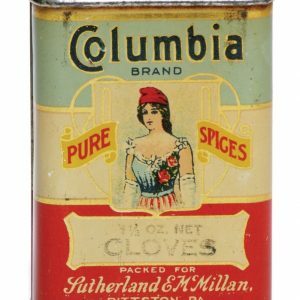 spice tin (cloves) for Columbia brand (Southerland and McMillian Co. Pittstown, Pennsylvania) Clean, bright and excellent (C. 8.5).